SAN FRANCISCO, TOKYO – June 25, 2015 – How far will Sonic run?! SEGA® announced today that Sonic Runners™ is now available worldwide*. The 2D side-scrolling infinite runner is the first free-to-play (F2P) Sonic title created exclusively for mobile by the world-renowned Sonic Team™, SEGA’s resident Sonic experts out of Japan. Featuring Sonic, Tails, and Knuckles, players race through a challenging endless world where they must navigate the high-speed environment to collect rings and gems, all while avoiding enemies from all directions. First launched in Japan in February, Sonic Runners is now available worldwide as a free download on the App Store for iPhone, iPad and iPod touch. It is also available on Android™ devices. Fans of the classic SEGA Genesis™ will immediately recognize the iconic blue hedgehog in his retro-inspired environment. 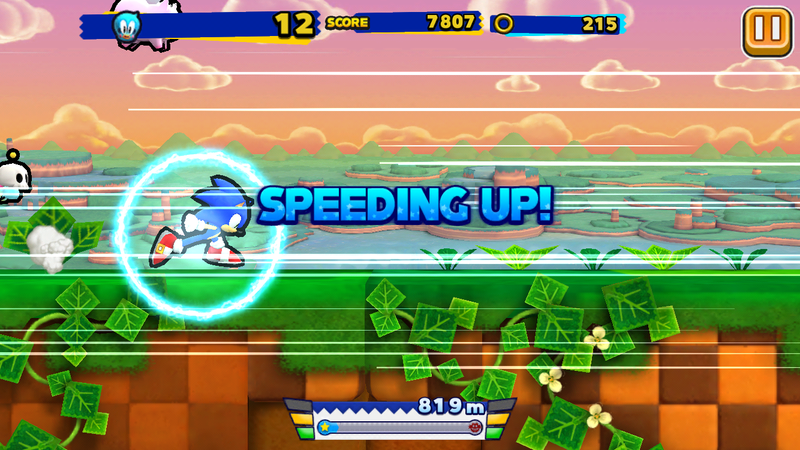 In his most challenging mobile game to-date, players will tap their devices to make Sonic and his friends run, jump, and fly their way through the enemy-riddled environment. Players will also complete boss battles against the infamous Dr. Eggman as they make their way through the storyline all in order to save the planet’s animals. The further a player advances, the more their speed increases, setting records to compete with friends and opponents worldwide. ©SEGA. All rights reserved. SEGA is registered in the US Patent and Trademark Office. SEGA, the SEGA logo, SONIC TEAM, GENESIS and SONIC RUNNERS are either registered trademarks or trademarks of SEGA Holdings, Co., Ltd or its affiliates. Google Play and Android are trademarks of Google Inc.